None lace wig and u part wig are similar; the only difference is that none lace wig has no opening on the top. And it’s machine weft made, and no lace on the cap as the name conveys. 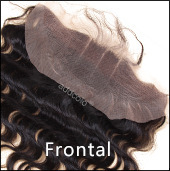 Generally, none lace wigs are also made of glueless wig cap with combs and adjustable strap so that you can easily put it on and take it off.